The natural spice of fresh garlic and toasted onion make our healthful gluten-free Garlic Toasted Onion Fettuccine robust and loaded with savory aromatic flavor. 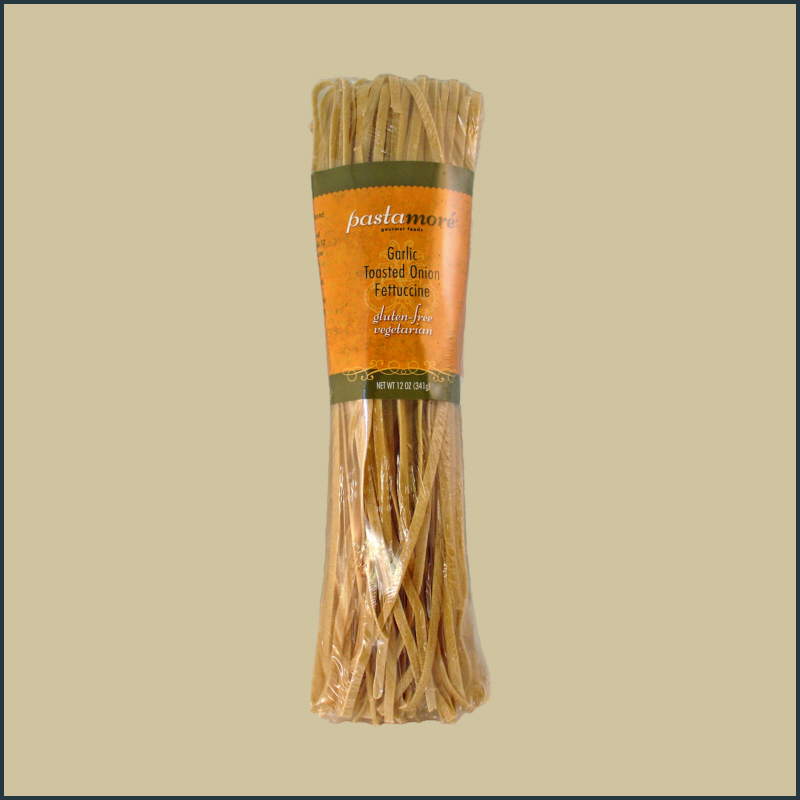 This handcrafted pasta is infused with the natural flavors at the time the dough is being formed, creating a tasty healthful meal. For a low-fat heart smart option, drizzle one of our olive oils, such as Roasted Tomato Blend Dipping Oil, Roasted Garlic Balsamic Dipping Oil or our Basil Parmesan Dipping Oil. You may also want to toss with tasty steamed or grilled vegetables, grilled chicken or meatballs to enhance the flavor of your finished dish. Nan's Gluten-Free Pastas are made with rice flour. Xanthan gum, an all natural plant extract, is used to bind the rice flour and the natural pureed vegetables, spices and herbs. 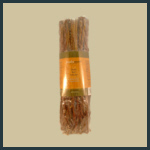 The result is delicious pasta which needs nothing more than a drizzle of olive oil or some butter to be intensely satisfying. Made in a gluten-free, dairy-free & nut-free facility. Always one of our top selling wheat pastas, this classic combination of red tomato and sweet basil is simple and versatile - with a bit of black pepper to spice things up. Even in winter it will evoke the warm days of summer. Comfort food at its best!